Social media is an extremely popular way for people to keep in touch with friends and relatives around the world. It can seem like a harmful place for children, but it is actually part of the reason for the growth in cyber bullying. Social media safety is extremely important, and part of that is finding the right time to introduce it to your children. Various experts have different views. To help understand more about this and when the right time for you will be, it’s worth looking at the views, along with the policies from various social media platforms. What Age Is Right to Introduce Social Media? In the end, it is up to you as a parent. Some parents will introduce it early, but with strict stipulations. Others will want to avoid it as much as possible. The problem with avoiding it is that you run the risk of children creating accounts behind your back. There are ways around age restrictions on the sites. Social media safety is the most important thing right now. Introducing your children at a young age, with limits like you knowing the password and doing spot checks, is considered a good idea by most experts. You give your children the freedom of keeping in touch with friends, while keeping them safe from harm at the same time. Technology isn’t going away. It’s developing much faster now than ever before, and that trend will continue. Social media is always going to be there in some form or another, so introducing it to your children is important and worthwhile. The majority of social media policies will state the same thing when it comes to age restrictions. They want users to be at least 13 years old, and they won’t allow people to sign up with a date of birth before that. However, there are ways around this. Most people have already found ways around it; just by putting a different year of birth in. Of course, there is also the fact that the companies will check profiles regularly, but with billions of users that is very difficult. There are high chances that your child’s profile will never be checked. After all, parents create profiles for their own babies and pets all the time! Having the policies in mind is important. These are legal documents that you need to read through and follow. The problem with technology and social media is that they allow individuals to act anonymously. There are plenty of sites around that don’t ask for names. For example, Twitter is regularly in the news due to anonymous messages and threats. On top of that, someone can create a fake profile. There are stories of pedophiles creating profiles to lure in young girls and boys. These can even be individuals that your children know. 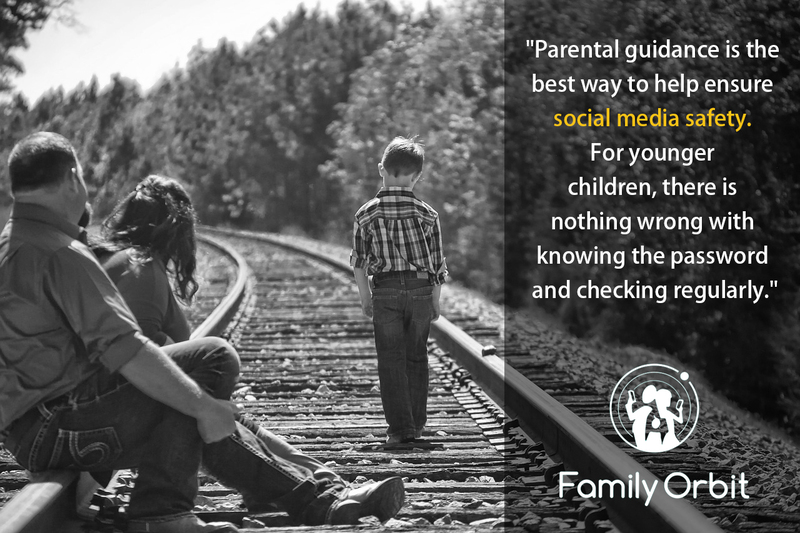 Parental guidance is the best way to help ensure social media safety. For younger children, there is nothing wrong with knowing the password and checking regularly. If you see something suspicious in messages or on the profile, talk to your children about it. As children get older, they want respect and trust. That means no longer checking through the use of the password, but by friending your children on Facebook and following them on Twitter. You want to see what they’re posting, and have conversations about it during dinner. Talk to them about their views and reasons for posting something specific. Watch out for strange behavior. The private messaging system on Facebook is commonly used by cyber bullies and pedophiles. If you notice your child acting differently—maybe being more subdued—ask them about it and find out if everything is okay at home, school and online. Experts will tell you different things, but it’s up to you personally when you choose to introduce social media to your kids. This isn’t going away, so there’s no point burying your head in the sand. Introducing them earlier will mean you can set up ground rules and be proactive in social media safety. You also know that they have an account, so you can friend and follow them to help keep them safe. Alexandria Ingham is a full-time freelance writer, sharing tips on lifestyle and technology. Cyber bullying is something close to her heart, as she has a daughter growing up in the social media world. Is Online Dating Right for Your Teens? Should You Friend Your Kids or Teens on Social Media?